Show off your contemporary side with the vibrant Singapore. 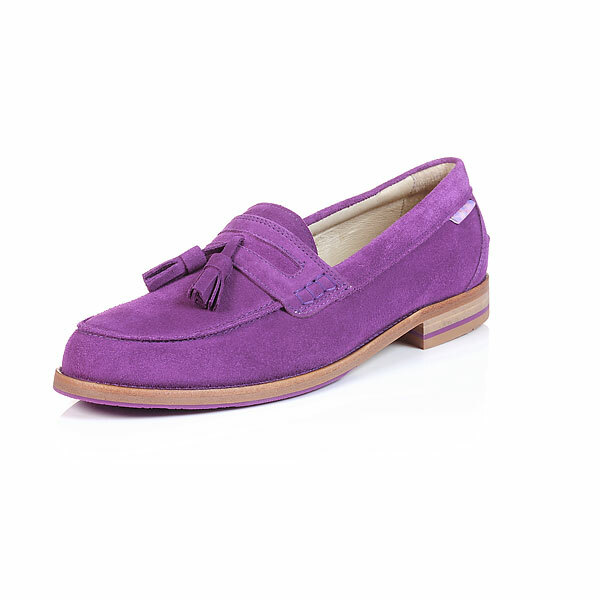 A unique colour best saved for the more adventurous, our classic style loafers are crafted from the best materials, 100% suede upper, leather lining and a leather sole. Add a touch of richness and look sharp in Singapore. Need help? Check our Size Chart. Sorry, this size is currently out of stock. Want to know when it’s available? Sorry! I’m currently out of stock. If you give us your details we'll be sure let you know when it's back in stock. As a proudly British brand we’ve decided to embrace this and base our sizing on UK standards. Now here’s the interesting part (ok, we find it interesting)…Did you know that the British shoe sizing method is the oldest in the world? In 1324, King Edward II introduced a standard English unit of shoe measure. One difference in size, is also know as one barleycorn, it measures 8.46 mm and corresponds to one-third of an inch. We recommend that if you usually take half sizes then to go for the next 0.5 size up, for example if you usually take a ladies 5.5 then go for a 6. We’ve chosen to partner with DPD Local to ensure you the very best delivery service possible. Orders placed before 4:30pm are delivered to you the very next working day. You can even track your parcels online or via the DPD app so you'll know exactly where they are on their journey to you! Our super-generous returns policy means you can return your items, at any point, within 365 days of purchase (yes, a whole year!) and we promise to refund you if an item is returned in its entirety and is unworn. We trust that you wouldn’t return anything you’ve worn to us but for more information please visit our returns policy. We are delighted to offer worldwide shipping options for our overseas customers, meaning those outside the UK won’t miss out on owning our lovely things! So if you live in Tinseltown or Timbuktu, we’ve got it covered! Please visit the delivery section of our Care Page to find out more information of delivery charges and if you can’t see your location on the list, don’t hesitate to get in touch with us today.